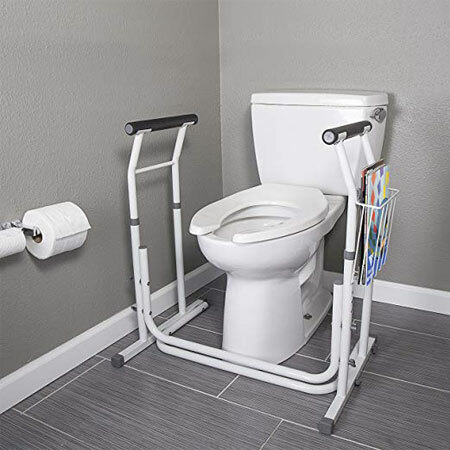 This free-standing bathroom safety frame provides a stable support for users to sit or rise from a commode. 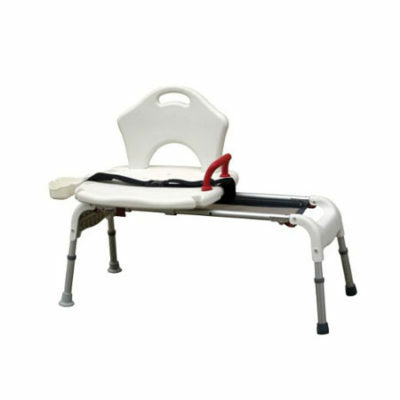 Ideal for seniors, handicapped or those with arthritis and/or those recovering from injury/surgery. This safety rail prevents accidental slips or falls, common in the bathroom. 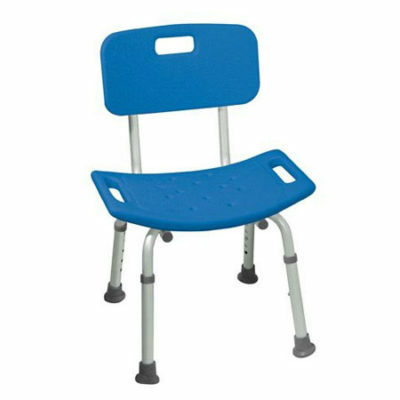 SITTING & RISING AID – This free-standing bathroom safety frame provides a stable support for users to sit or rise from a commode. 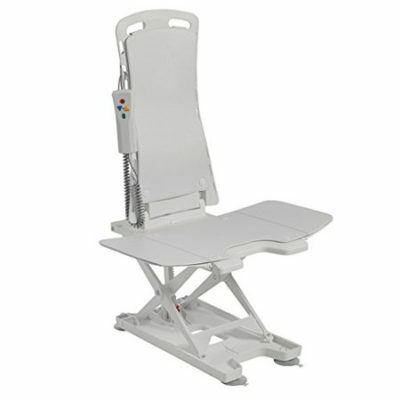 Ideal for seniors, handicapped or those with arthritis and/or those recovering from injury/surgery. This safety rail prevents accidental slips or falls, common in the bathroom. 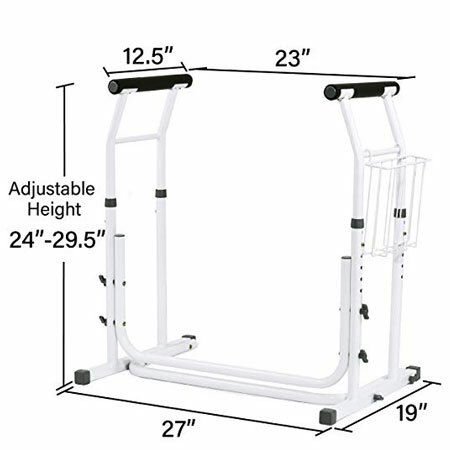 2018 PATENTED HEIGHT ADJUSTABLE FEATURE – 2018 latest model features customizable height adjustment between 24” – 29”. 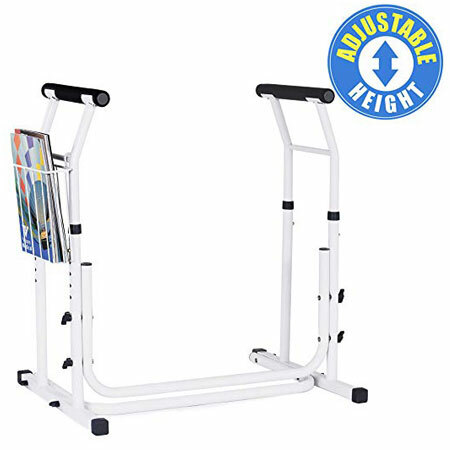 DURABLE & STURDY SUPPORT – Engineered with safety in mind, this high-strength, durable, metal steel frame supports user’s weight of up to 300 lbs. Anti-slip padded grab bars ensure a firm and secure grip. PORTABLE & EASY TO USE – Works with most round and elongated toilet bowls. Can also be used in other parts of the house i.e. living room, kitchen, and bedroom. Easy to assemble, no tools required. Does not require attachment to external fixtures. Magazine Rack included. FOR YOUR SAFETY – Includes Anti-slip rubber tip to prevent toilet frame from sliding. To avoid forward tipping of toilet frame, always place hands centered on grab bars and push downwards (not forward) and ensure even weight distribution.